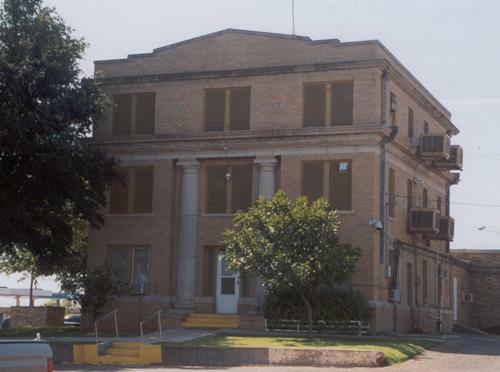 Is Fisher county jail in Roby, Texas haunted? The Fisher County Jail was built in 1892, and was a simple stone structure for the growing town, the building is still functional today but only houses a small number of inmates as the whole town only has a population of around 1000 people. There is an inmate here that does not appear to be human. The ghost has made himself known to inmates through various forms of physical contact. Inmates have reported the spirit touching them, throwing things, flushing toilets and just making noise. The unknown, spooky presence has even been seen by the sheriff. One time, the ghost even lit a stove for a jailer! The origin of the spirit is unknown, but it is believed to perhaps be the ghost or ghosts of a sheriff and deputy that were murdered by an inmate in 1927.